Leicester City's billionaire Thai owner Vichai Srivaddhanaprabha has splashed out the cash to reward the English Premier League club's players for their fairytale title triumph last season. His gift? A fleet of 19 BMW i8s for each of the players who played a part in securing Leicester's maiden league trophy. Photos posted on Twitter showed the hybrid supercars - all painted in Leicester blue - lined up outside the King Power Stadium on Friday (Aug 5). 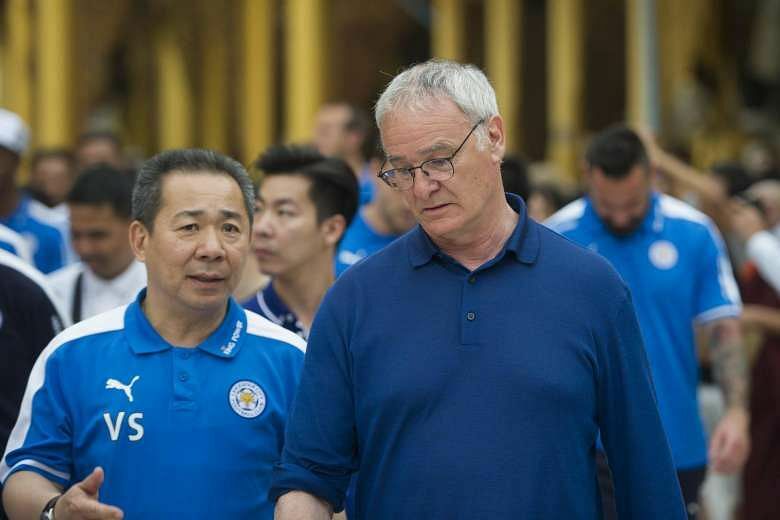 According to the Leicester Mercury, Vichai spent nearly £2 million (S$3.5 million) on the cars, which cost just over £100,000 each. The BMW i8 has a top speed of close to 260kmh. Four players out of the Foxes' 23-man squad from last season, however, did not receive a car as they have since left the club. They are fringe players Joe Dodoo, Andrej Kramaric, Yohan Benalouane (out on loan), while key midfielder N'Golo Kante signed for Premier League rivals Chelsea last month for a fee in excess of £30 million. Leicester City had defied all expectations in their run to the Premier League trophy last season, upsetting the balance of a league that has been dominated by heavyweights such as Manchester United, Manchester City, Chelsea and Arsenal in recent times. The 59-year-old Vichai, who made his fortune with his duty-free firm King Power in Thailand, bought over the club for about £40 million in 2010.